We had breakfast at a new small coffee shop. The biscuits for the bacon, egg, cheese biscuits were to die for. Coffee and Tea were also excellent. It was next door to Motel 6. The room was clean and the bed was great. The front desk folks were friendly. Room was clean. Beds comfortable. Everything worked. Rates better than reasonable (cheap). A simple room, clean in good repair. The price was extremely reasonable. I found a much better place than expected for the price. The staff was friendly and helpful. They made arrangements for us to have a first-floor room and that made us very happy. The hotel is close to the main street in town. It is also close to major food chains and Wal Mart. Basic small clean room. It was comfortable and a good value. No frills but met all our needs. I liked everything about it. Easy check in. Good place to walk my dog. Quiet. Friendly staff. This place was the cleanest Motel 6 I have been to. I was pleasantly surprised by how clean the room was. I came in very late at night from a long drive and this motel was quiet and convenient. I managed to get a pretty good nights sleep before heading back on the road. I would/will stay again when traveling through. We had early check in without any trouble. Beds and pillows were comfy. We LOVE being able to park right in front of our room door. Nice tv on the wall with great channels. Motel 6 Goodland This rating is a reflection of how the property compares to the industry standard when it comes to price, facilities and services available. It's based on a self-evaluation by the property. Use this rating to help choose your stay! 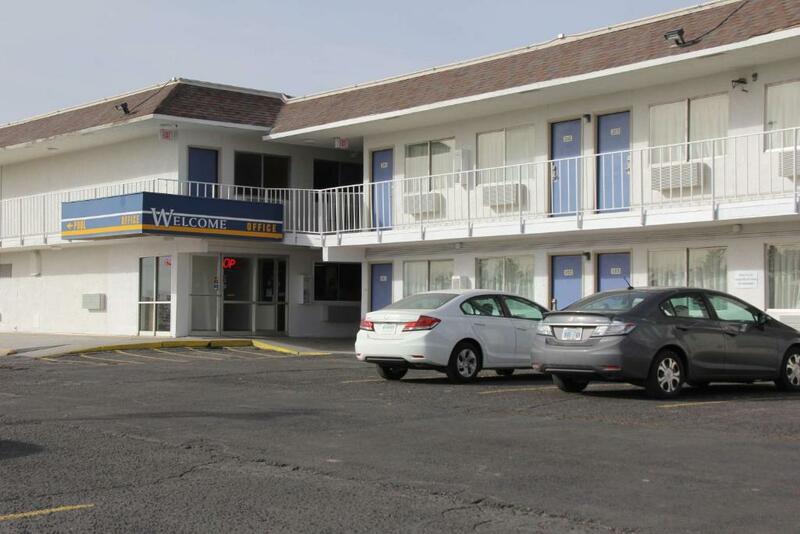 Located conveniently off I-70, this Kansas motel offers rooms with free Wi-Fi. The front desk is available 24-hours a day. Renner Field Goodland Municipal Airport is less than an 8 minute drive from this hotel. 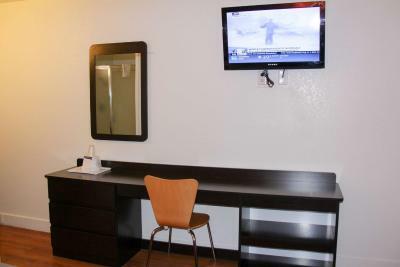 A TV with cable channels is offered in every simply furnished room at Motel 6 Goodland. 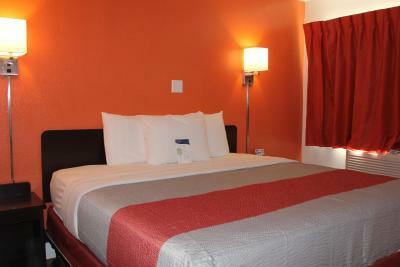 All air-conditioned rooms include a private bathroom. A coin-operated laundry facility is on site. Guests can purchase a drink from vending machines on the property. Carnegie Arts Center is less than 2 miles away. Colby Convention Center is a 40 minute drive from this hotel. 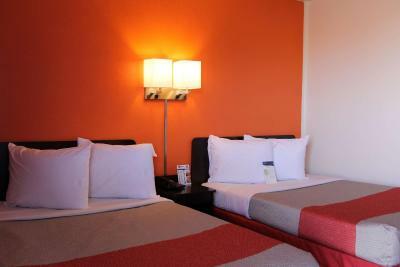 When would you like to stay at Motel 6 Goodland? 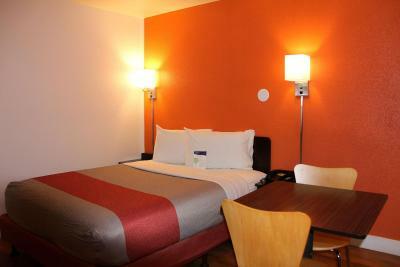 Featuring free Wi-Fi and 32-inch flat-screen TV with cable channels, this air-conditioned room includes a private bathroom. Motel 6 Goodland KS is conveniently located off I-70 and near shopping and dining. 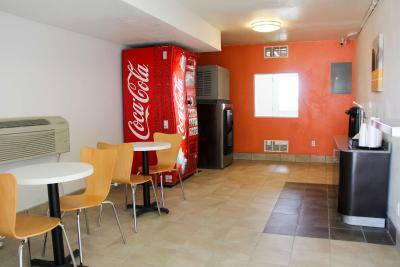 This Motel 6 offers a coin laundry facility, complimentary fresh brewed coffee in the lobby, unlimited local phone calls and WiFi in all guest rooms. House Rules Motel 6 Goodland takes special requests – add in the next step! Any additional older children or adults are charged USD 6 per person per night for extra beds. Motel 6 Goodland accepts these cards and reserves the right to temporarily hold an amount prior to arrival. She send me to a room. It has smoke. I don’t smoke. They say free WiFi but only end WiFi at 7pm. There was no light fixture in the ceiling just a hole. In the notes I explained I was traveling with a dog and they gave me a unit on the second floor. Located near fast food places. The nonsmoking room reeked of smoke. At night after a long day of travel and then work, when I pulled back the sheet, I saw small dots of dried blood. I had many questions: had the sheets been changed? If so, why did they put stained sheets on the bed? Were there active bedbugs? Were these from previous bedbug infestations? I was exhausted, so pulled the other sheet over this and tried to sleep, rather than change rooms. The clerk in the morning told me he would tell his supervisor. I took care to separate my clothes that had touched the bed, and I washed them in hot water. I haven't noticed bites on me, but I still am completely creeped out by this. I haven't stayed at a Motel 6 in a long time and was surprised there was no soap or shampoo. The towels were good. It took a very long time to get hot water to the room. No hair dryer available. No hot water, it was barely lukewarm. No coat hanger, no kleenex, no clock. TV wiring was visible and atrocious. The property is a little old and worn but not so much as the price would indicate. No hot water, no hair dryer. Dog walking area non-existent or full of cockleburrs. This place appears to be in the middle of remodeling and it looks like a dump! The room needed more detailed cleaning. There were spider webs with bugs under the sink, floors were dirty, and the baseboards needed dusting. Bathroom fan was hanging from the wall and not working. Towels were crunchy and drew blood from my lip. There was no shampoo, hairdryer, iron, bag for dirty clothing, do not disturb sign or coffee pot. This should be noted before booking the room. The mattress made very loud noises when you moved. The place was not efficiently clean. Showers were not scrub properly. Staff were not curtious. Smoked where ever they pleased. The beds were very uncomfortable due to being Springs. The clerk gave us the wrong number room, I’m sure people loved having 2 strangers trying to unlock their door at 1 in the morning. When we got the correct room number and key it was a smoking room after the clerk said “it says smoking but it’s not, I promise”. The room had hair on the bathroom walls and towels. The sheets were stained of dirt and sweat with holes it them, it reeeek of smoke. It was right off the highway. Takes 10 minutes for shower to get hot, so don't give up. The tub and sink drain slow so water fills up bottom of tub while showering. Bed and pillows were comfy and it was quiet. The curtains didn't block out light, the room was not dark at all. The pool wasnot available but we were not needing it anyway.